Many concrete production plants generate large amounts of high pH waste water. 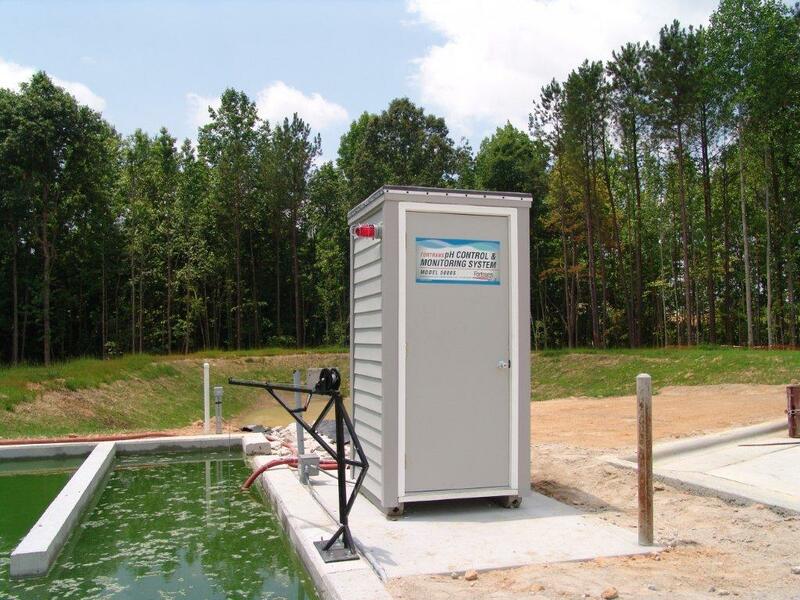 This waste or process water also contains a high level of dissolved and suspended solids. The waste water comes from rinsing the drums of the mixer trucks after returning from a delivery and from truck washing on the site. Additionally, process water is brought back to the plants because the trucks can no longer rinse their chutes at job sites due to environmental restrictions. The trucks are equipped with containers to hold the rinse water or the rinse water is pumped back into the drum. The rinse water must be brought back to the plant and emptied into the process water settling basins. Storm water adds to the problem when rain water drains into the basins designed to contain the process water. Storm water becomes high pH process water at that point. Most of these facilities recycle this process water back into fresh concrete to eliminate having to discharge the material. Over a period of time however, most producers will generate excess process water in normal production. If the plant has state construction jobs, most state transportation departments do not allow the use of recycle water in their batch mixes. And, as mentioned previously, storm water will add to the volume of process water stored in the settling basins. At some point, the excess process water becomes a disposal problem. The producer must decide to either treat for ph and suspended solids so the water can be discharged off-site or to discharge pH adjusted water with low solids to a local waste water treatment plant. The least favored and most expensive option is to transport untreated waste water for disposal by others. Industrial facilities that generate process wastewater must pre-treat the water before it can be returned to a municipal waste water plant. Every municipality will demand some level of treatment to ensure the water meets the Clean Water Act standards before they will accept the waste water. The Clean Water Act also established specifications on water discharged to the environment from an industrial facility property or discharged upon the grounds of the facility. The act defined the pH limits of discharges to the environment as follows: any waste stream with a pH below 6.5 or higher than 9.0 is by definition hazardous waste. The act also set limits on total suspended solids in the water being discharged but left the actual limits up to local and state agencies. 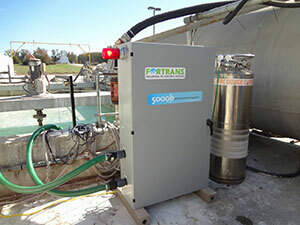 Fortrans Inc in Wendell NC manufactures self-contained pH control systems that can easily solve this problem for the producers. They have sold over 500 of these systems in the USA and Canada. All systems use low cost and safe C02 gas to automatically lower the pH of the process water and maintain the target pH desired. The systems also lower the total dissolved andsuspended solids to accepted levels for discharge offsite or returned to a local waste water treatment plant. Fortrans pH control systems are shipped completely assembled with a weather proof enclosure requiring only 115V-20 AMP electrical service and a supply of C02. The treated water may be discharged off site, recycled for batching concrete, pumped to wash racks or used for irrigation and dust control.